T-shirts can have all kinds of pictures and sayings on them and they are what I live in. The more meaning they have the better. American Backcountry is all about nature and trail preserving, and oh, they have beautiful t-shirts too. They aren’t just for show either! What is the first thing you do when you begin hiking on a hot day? You sweat, correct? Well, the shirts are moisture wicking, so you will stay dry. American Backcountry not only loves nature and our American trails, but they also donate to them. As a matter of fact, they just made a limited edition tee to celebrate the 50th anniversary of the National Trails System. It is made in the USA and 10% of the proceeds will be donated to two different trail associations. It will go to help preserve and protect the trails and don’t forget how gorgeous the shirt is. Now that is what I call an important t-shirt! “Calling all nature lovers”! If you enjoy this big, beautiful, blue marble we call Earth, then I believe you will go crazy over their t-shirts. They have such calming scenes and the illustrations are stunning. 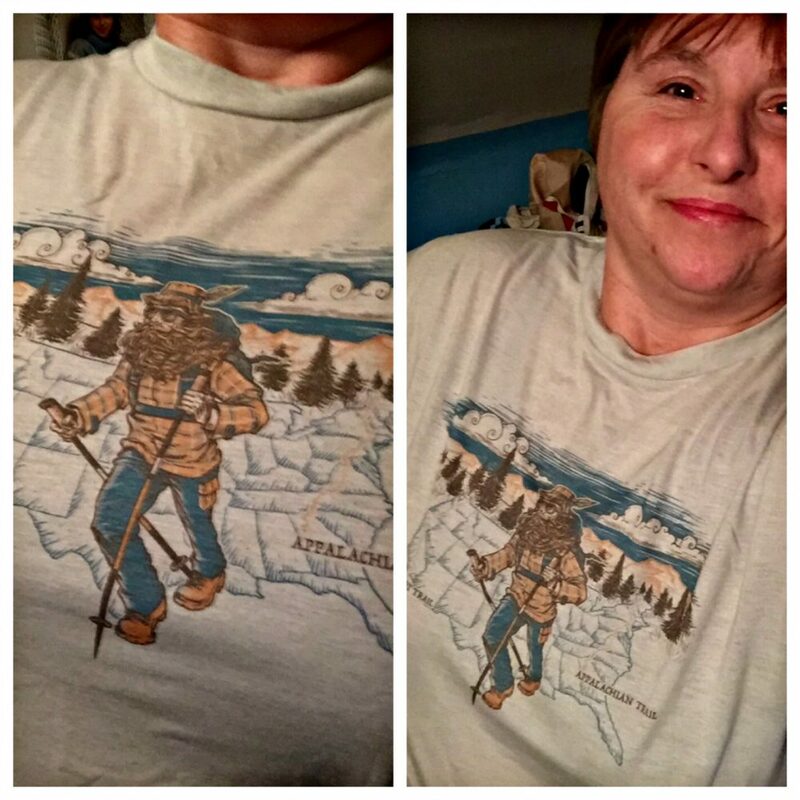 I am wearing the Repreve 50th Anniversary Trails Tee, and I love it! To say that this t-shirt is soft, well, that is an understatement! It is made of a Repreve recycled polyester blend that utilizes recycled water bottles. So, you’re getting a great shirt while doing good work. You know that the holidays are coming up…what are you waiting for? Go buy this for someone! I’ll wait. I’ve talked about the limited edition tee, but I want you to know that American Backcountry has a ton more t-shirts to choose from. Like I said above, not only are you getting something that you will be proud to wear, but it also feels amazing against your skin. Here are the features you get with every tee: 100% moisture wicking polyester (built to last), fastest drying time in the industry, permanent moisture transport technology, and built-in anti-microbial and anti-stain features. You will never have to worry about chafing or irritation when wearing their tees!